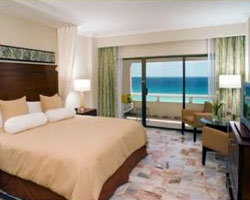 For a luxurious fractional ownership opportunity like no other, purchase with *Aventuras Club Private Residence Club*! 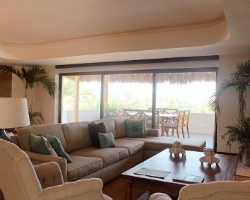 These homes are stunning and exceedingly well-maintained, and they're located in the beautiful city of Puerto Aventuras, in the wonderful Mayan Riviera! Owning a fractional property gives you the amount of time you desire in your vacation home, as well as all the benefits and amenities any top-notch resort would offer. It's a community of luxury! 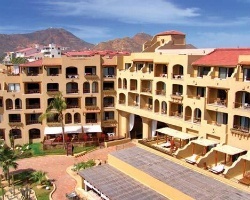 The *Marina Villas* are a subset of this excellent fractional club, and they feature views of the marina from beautiful balconies in a charming four-story building. These nineteen 2 and 3 bedroom villas are just a short walk from the wonderful nightlife, shopping and dining available in the city! The Marina Villas are currently in pre-construction. For more information, visit www.aventurasclub.com. 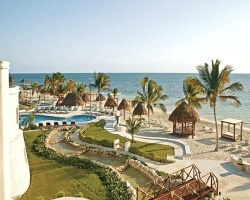 Azul Hotel and Beach Resort is a Gourmet Inclusive resort located along the white sand beaches of Riviera Maya. *Gourmet Inclusive* addresses and defines every detail of the guest experience, from the decor and atmosphere, to the variety and quality of services, amenities and cuisine. Karisma Resorts' commitment and philosophy is simple: to fulfill your vacation dreams, starting by looking at hotels from the guest's perspective. Everything is scrutinized, from the amenities to the food and from the drinks to the service. 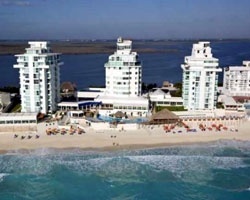 Azul Hotel and Beach Resort is part of a tradition of great resorts, outstanding service, innovative dining, unique amenities, and, above all, an exceptional vacation experience. 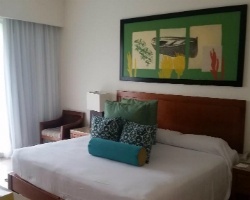 The 97 rooms at Azul were designed in a stylish contemporary decor and are available in superior, deluxe oceanfront and Azul suite categories, and have all the features to satisfy the discerning traveler. All rooms at this beachfront property are either directly on, or just a few steps away from the secluded beach of Bahia Petempich. 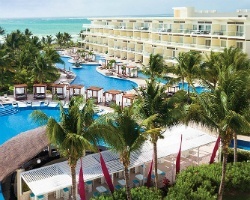 An oasis of ocean views, attentive staff, and contemporary Caribbean-style architecture, *Azul Sensatori Mexico* is situated along more than 1,000 feet of sugar-white beach. Lounge outdoors on a beach bed, or in a hydro-jet whirlpool inside all suites, and enjoy the world-class Vassa Spa and live entertainment at night. From the fanciful Nickelodeon Experience to gourmet restaurants and bars, the resort offers a perfect beach vacation for families, couples, and groups alike. To discover more, please visit www.karismahotels.com. 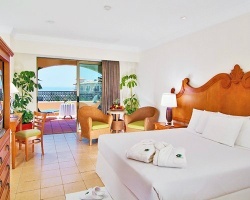 Discover paradise at *Barcelo Karmina Palace Resort*. 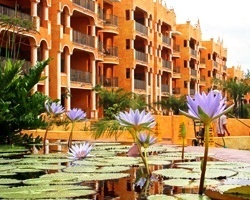 While staying at this resort, enjoy the specially designed cascades and fountains in the eight pools, all connected and surrounded by tropical gardens and Mexican flowers. If golf is your game, Mantarraya Las Hadas golf course is next to the resort and sure to please, designed by Pete and Roy Dye. Finish your game overlooking the water of the Pacific coast! For more information, visit www.barcelo.com. 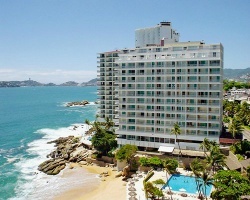 Bayview Club at El Presidente offers guests a timeshare experience at one of Acapulco's best hotels- golden beaches, Pacific waters, fine restaurants and nightlife are all a part of the picture when you stay at El Presidente Acapulco! 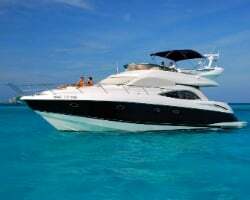 Fishing, boating and waterskiing, as well as golf and tennis facilities are all available either on location or very close by. Enjoy Mexico! 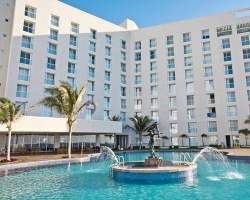 For more information, visit www.elpresidenteacapulco.com. 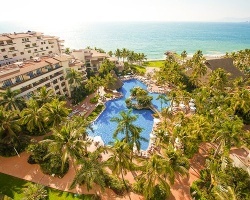 *Bel Air Collection Resort and Spa Vallarta* is located on beautiful Flamingos Beach, in vacation-friendly Nuevo Vallarta and just 20 minutes from Puerto Vallarta! Guests of this luxurious resort will enjoy gourmet dining, spa treatments, a kids club, an Infinity edge pool, an ocean view Jacuzzi bar, iPod connectivity and DVD players in rooms. From start to finish, guests will experience the best of the best and the finest of the finest, with cutting-edge mattresses in the suites, sophisticated equipment in the spa and stunning and modern architecture and design throughout! 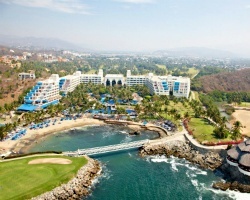 For more information, visit www.belairvallarta.com. 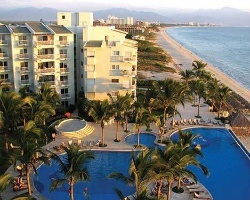 Membership with *Bel Air Vacation Club* grants you access to some of the most stunning destinations and beaches in Mexico- Los Cabos, Puerto Vallarta, and Nuevo Vallarta! 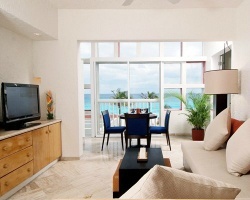 Fully equipped and luxurious suites await your stay at any resort. Experience the charm of the traditional villages adjacent to all the local amenities you crave, including casual and upscale dining options, exciting nightlife and stylish shops. Located on a sun-soaked golden beach, each of the *Buganvilias Resort's* elegant suites offer stunning and romantic views of the ocean. The superb outdoor and indoor dining treat diners to a selection of local and international cuisine. Have cocktail at one of the resort's lounges and swim-up bars. 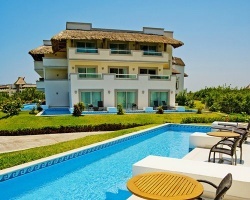 Sunbathe next to the refreshing swimming pools, one featuring a huge island Jacuzzi. 900 feet of golden beach line the property and shopping is available at a variety of stores at the resort. 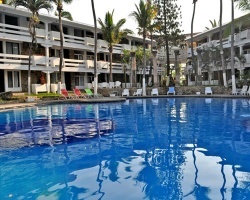 Downtown Puerto Vallarta is just a short stroll away where guests partake in the life of this seaside paradise! 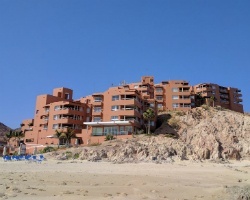 This six-story resort is set on Medano Beach near the often-photographed arch. Each air-conditioned unit has a terrace. 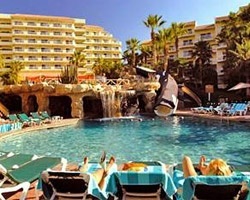 All water sports are available, along with swimming pools, a whirlpool, tennis courts, volleyball, restaurants, and bars. The area is famous for some of the world's best marlin fishing. The *Cabo San Lucas Country Club* is a private, 750 acre gated hideaway that combines the charm and intimacy of colonial Mexico with the luxurious amenities of a world-class resort. From hand-crafted wrought iron grill work to graceful arches, massive pillars and winding brick walkways, the resort offers guests an authentic old-world experience. The challenging Dye-designed golf course on site flows gently though groves of magnificent Palo Blanco trees and Cardon cacti to sprawling fairways accented by nine sparkling lakes. A treat for the eyes, playing areas are literally carved out of the mountain and desert terrain. With its exceptional climate and diverse landscape, Los Cabos offers a great variety of recreational facilities. 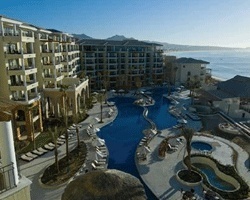 Los Cabos has become one of the most requested destinations in the world due to its five professional golf courses. It is also considered the marlin fishing capital! Enjoy kayaking and para-sailing or a cruise to the famous arch. 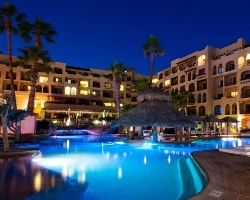 These activities can be arranged through the concierge's office at Cabo Villas. 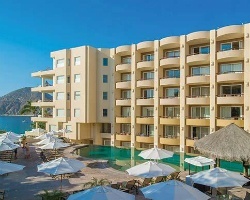 Canadian Resorts' Marparaiso Queen is located in Acapulco's Diamonte Zone, and is just a few minutes from the main street. Water sports such as water skiing are available nearby, as are sailing and golf, and the resort has a lot to offer on-site, too. A swimming pool, hot tub, day spa, bar and restaurant, and horseback riding are all amenities/activities guests can enjoy at the resort. 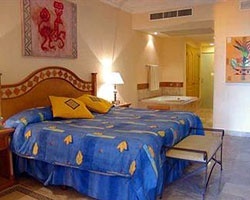 For a great vacation with blue waters and unlimited nightlife, visit Marparaiso Queen! 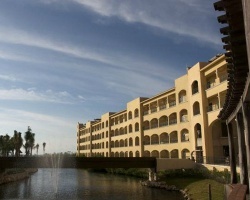 For more information about the resort, or Canadian Resorts, visit www.canadian-resorts.com.mx. 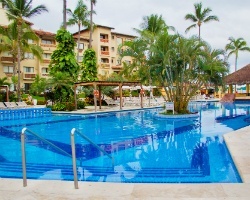 The *Canto Del Sol Plaza Vallarta* all-inclusive is a superior-class resort located six miles from Puerto Vallarta International Airport. 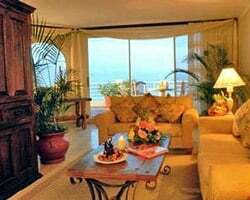 A moderately priced four-star resort set on the beautiful beach of Banderas Bay, the Canto Del Sol Plaza Vallarta is a gorgeous spot for a luxurious Mexican vacation. 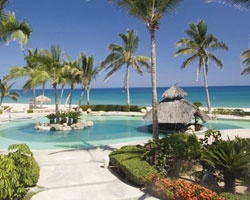 Sun-drenched beaches and wonderful amenities provide the most beautiful of backdrops for this property. Downtown Puerto Vallarta is just a few miles away, giving guests the opportunity to explore the shopping and nightlife of one of Mexico's best vacation spots. 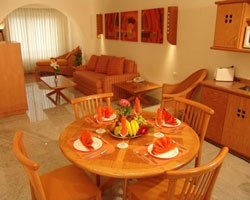 The resort is well-equipped, with a babysitting service, laundry service, parking, and safe-deposit box at the front desk. A swimming pool and exercise facility add to the options of activities for resort patrons. 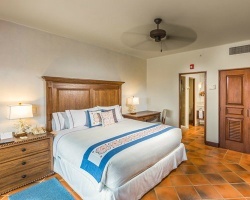 Guest rooms are tranquil and comfortable, serving as a great place to end a long day of fun in the sun on the beach. A friendly, knowledgeable staff is ready to serve you as you soak in this beautiful city during your stay. The area offers many dining, shopping and entertainment venues. 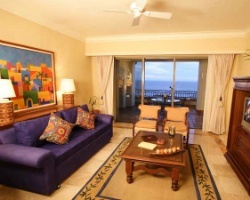 *Casa Dorada San Lucas Bay* is set on Medano Beach near the often-photographed arch. Each air-conditioned unit has a terrace. All units are non-smoking. 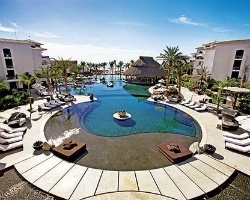 This resort has a poolside beach club and a popular nightclub that plays host to weekend parties. 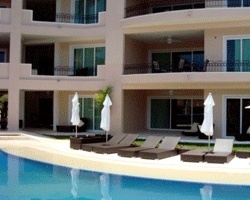 All water sports are available, along with swimming pools, a whirlpool, volleyball, restaurants, and bars. The area is famous for some of the world's best marlin fishing tournaments. Please note that this is an adult-oriented resort. 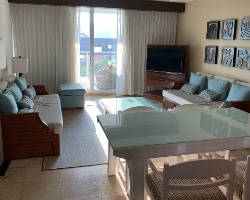 *Casa Dorada at Medano Beach* is a beautiful, newly renovated property located in Baja California Sur on Cabo San Lucas' Medano Beach, one of the most beautiful beaches in the area! The resort features a two-level swimming pool, whirlpool, solarium, wet bar, restaurant, beach bar, kids' pool, and exquisite spa. 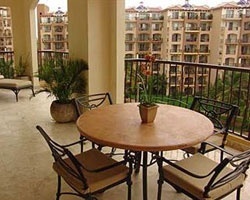 A marina, shopping centers, restaurants, and other area attractions are all very close to the resort. *Casa Velas Hotel Boutique* is located in Puerto Vallarta, combining a tropical feel with luxurious amenities to give guests a truly worthwhile vacation experience. 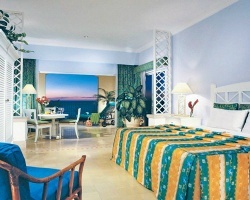 The resort is adult-only and all-inclusive, and the service is Conde Nast recommended and AAA award-winning! Private beaches, beautiful scenery, and excellent golf are all a part of Casa Velas Hotel Boutique's charm. 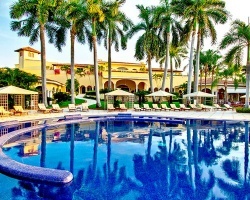 For more information about the relaxing Mexican resort, visit www.hotelcasavelas.com. 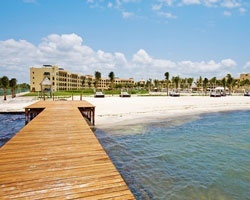 Luxurious all-inclusive beachfront resort! 1,000 odd year points! Buyer may receive a title fee credit, inquire for details! Ocean view penthouse suite! Floating week of your choice! Buyer may receive a title fee credit, inquire for details! 6 weeks a year! Platinum ownership with no black out dates! Buyer may receive a title fee credit, inquire for details! 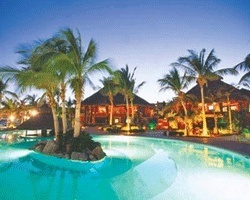 Luxurious and exotic resort! Floating week! RTU until 2110! Buyer may receive a title fee credit, inquire for details! 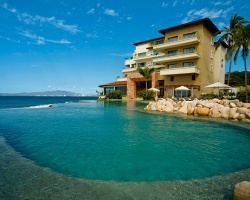 Beachfront retreat in Nuevo Vallarta! 1,700 annual points! Buyer may receive a title fee credit, inquire for details! Come discover all the culture and entertainment in Mexico every year! Buyer may receive a title fee credit, inquire for details! 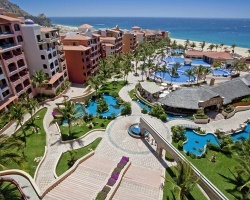 Relax in luxury in beautiful Cabo each year! Stay in week 32! Buyer may receive a title fee credit, inquire for details! Bring all offers! 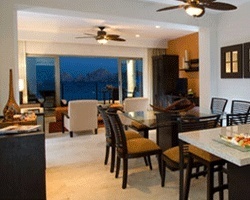 Own in beautiful scenic Cabo San Lucas! Floating week! Buyer may receive a title fee credit, inquire for details! Highly Motivated Seller! Price Negotiable! 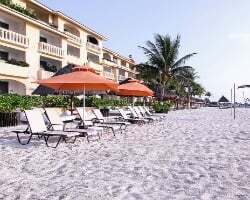 Stunning oceanfront resort close downtown! Floating week! Buyer may receive a title fee credit!